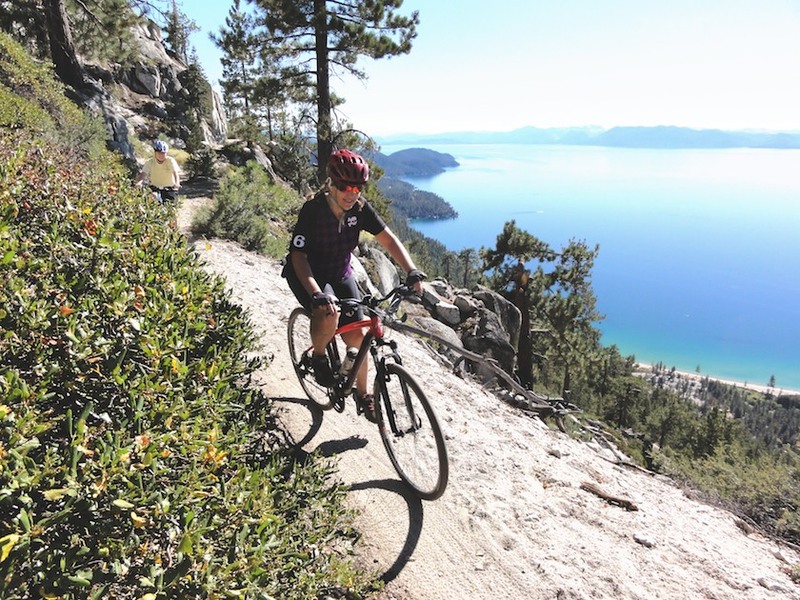 Steep sustained climbs with long high speed descents in North Canyon and to Marlette Lake. 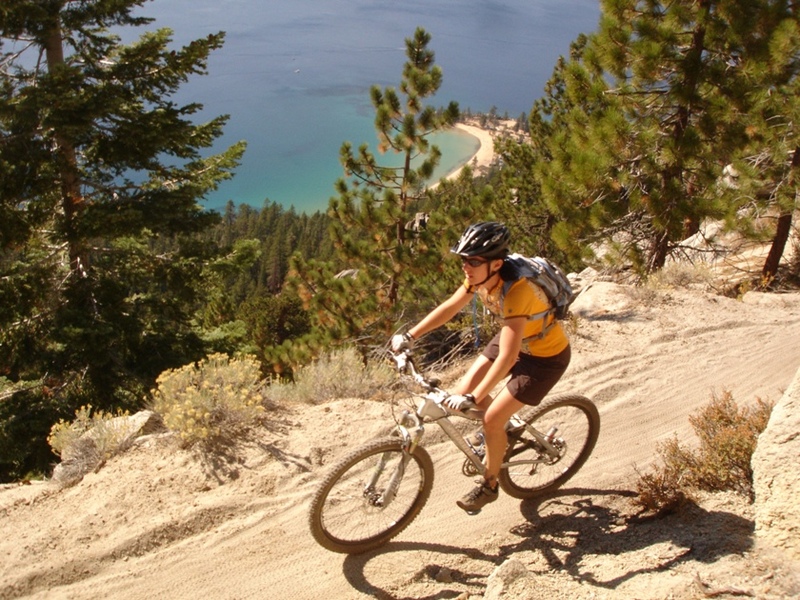 The Flume itself is narrow in sections with soft sandy spots, and two hike-a-bike locations. 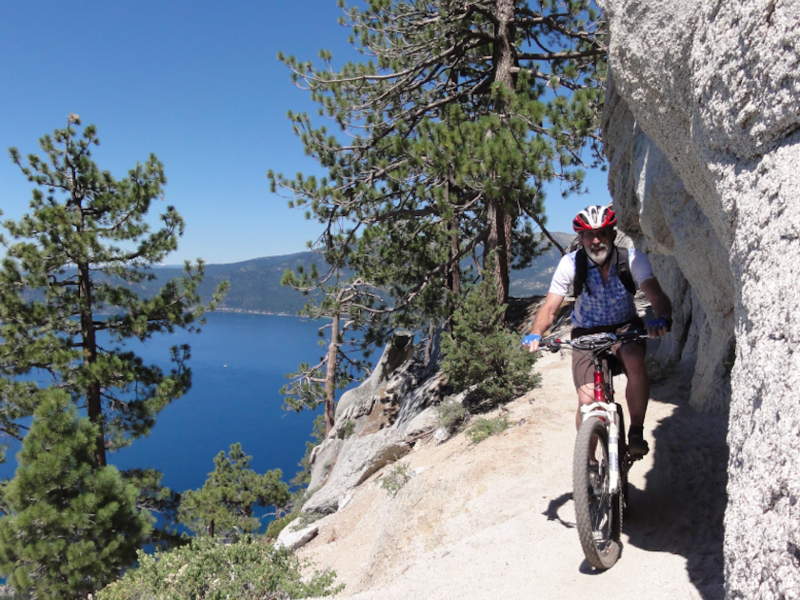 Not for riders who are fearful of heights as you ride on the edge 1,800’ above the Lake. Caution: stop riding to look at the vistas. At the junction of US Hwy 50 and NSR 28 is a large parking area you can use or you can drive into the State Park and pay a fee. There are restrooms, picnic areas, and a bike rental shop at the park. 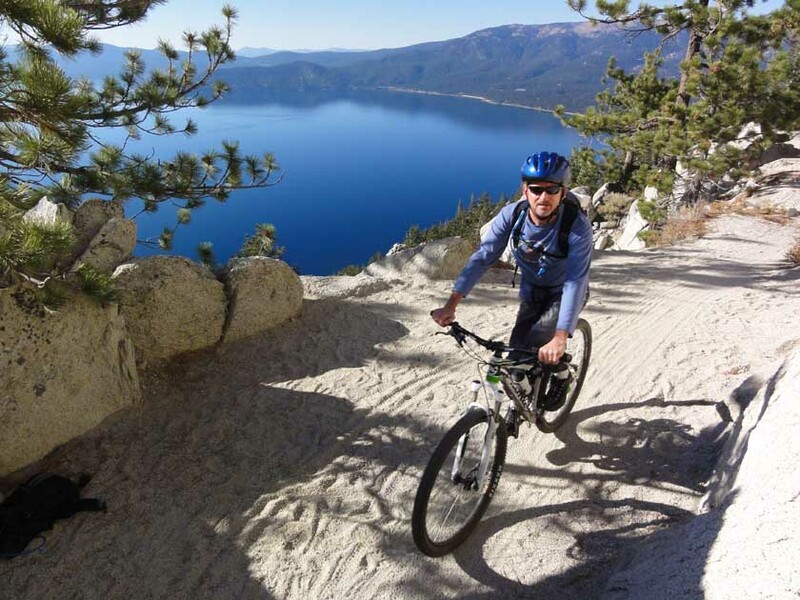 This ride has been voted one of the Top Ten Mountain Bike Rides in the U.S. The vistas are unparalleled and you will see them from different perspectives as this is an Out and Back ride. Begin your ride at the park where you will find water, basic snacks and a bike shop with rentals. 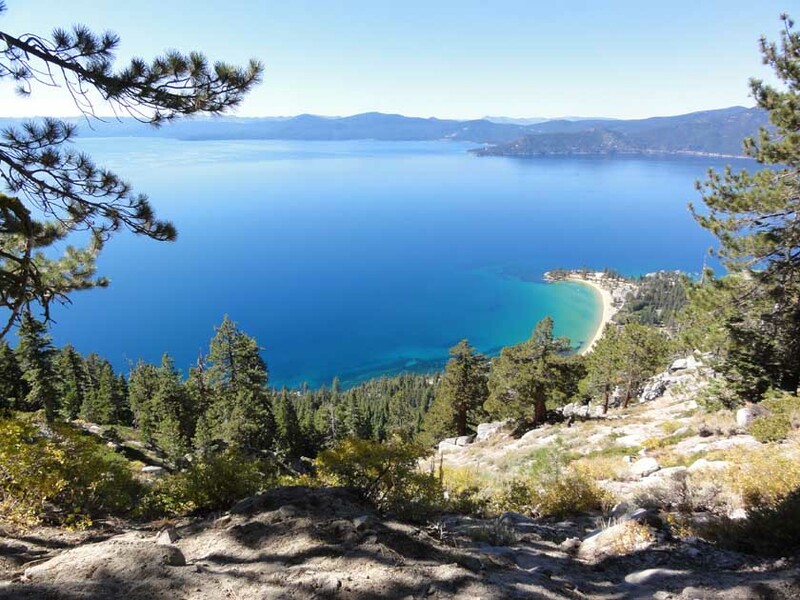 You will head out on a double track road and begin climbing through North Canyon, 4 miles, on your way to Marlette Lake – a beautiful high alpine lake perfect for a picnic and photography. 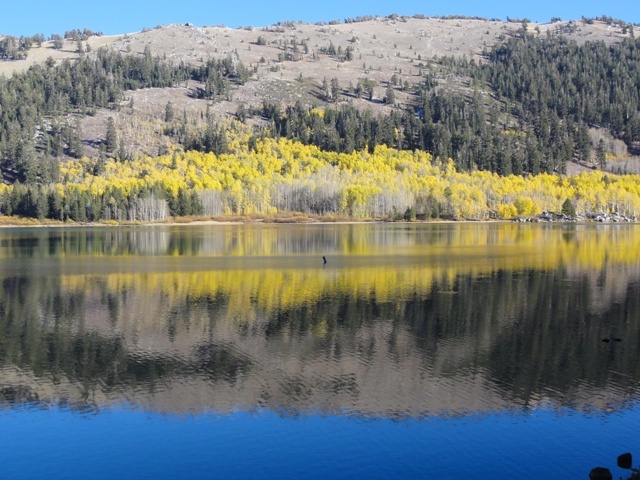 Marlette Lake is a genetic pool for the native Lahanton Cutthroat Trout. Each year, the fish eggs are harvested and taken to fisheries to be raised and then repopulate other regions where they were once native. In the fall, you can see thousands of them lined up to spawn at the creek. Continue along the western side of the Lake and when you come to the Dam (6 mi from start) turn left onto the single track as this is the trailhead for the Flume Trail. Initially, a short rocky section, but after that the ride is on smooth single track. Stay focused on the ride as it narrows and crosses avalanche chutes. The views are spectacular and its best to stop and enjoy them, particularly on the narrow sections, because your body follows your head and you can easily veer off track when gazing at the Lake. While the trail may be two feet wide in sections, its riding thread is much narrower, one foot, as the sides are soft decomposed granite (sand) that can cause you to lose control. The ride traverses the Carson Range 1,800’ above the Lake. You will come to a trail junction (10.3 mi from start). Here is a good place to snack and fuel up for your return. Ride Options: Tunnel Creek. At the junction, you could go straight and descend down to Tunnel Creek and Incline Village area. Red House. Turn right and climb up to the TRT that connects to other rides to be described elsewhere. Marlette Lake and the Flume. With the insatiable thirst for silver in Virginia City and Gold Hill area, during the Comstock Lode period, water was in short supply and needed to support a growing population of miners 25,000 – 40,000, and for the mining operations. 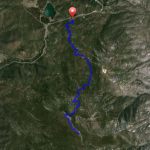 Upon searching for water in the Carson Range, a creek was discovered, Franktown Creek (Hobart) flowing into Washoe Lake. Engineers constructed a diversion dam and built a combination of box flume and pressure pipeline to channel water 2,000 ft. down to Washoe Valley. Duane L. Bliss and H. M. Yerington of Glenbrook built a dam across Marlette Lake in 1873 and diverted it down Clear Creek Canyon (Hwy 50). Still not enough water, additional flumes and pipelines were built taping the Hobart Creek and Marlette Lake that by 1887 the water volume raised to 6.6 million gallons every 24 hours, with a total of 21 miles of piping and 46 miles of fluming. 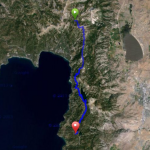 This area is also the location of the Lake Tahoe Wagon Trail that traveled from Carson City up Kings Canyon and over the crest to arrive lakeside near Incline Village. This was a popular route for logging operations, water transport, and travelers to the Lake from Nevada including Virginia City Journalist Mark Twain. (Mark Twain’s book, Roughing It, published in 1872, chronicles his get rich scheme coming west to Virginia City and what followed).